Poor baby, no one calls her by her real name! “I am not a buttercup, or a giggly goose. I am not a cupcake. Please don’t call me Little Lamb, and never ever Gum Drop,” she insists. 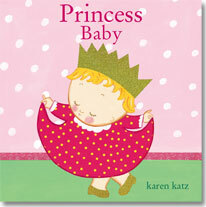 With a curtsy and a twirl, again and again our protagonist makes it abundantly clear who she is. She wears a shiny crown, a fancy dress, sparkly shoes, a velvet cape, and glittery jewels. 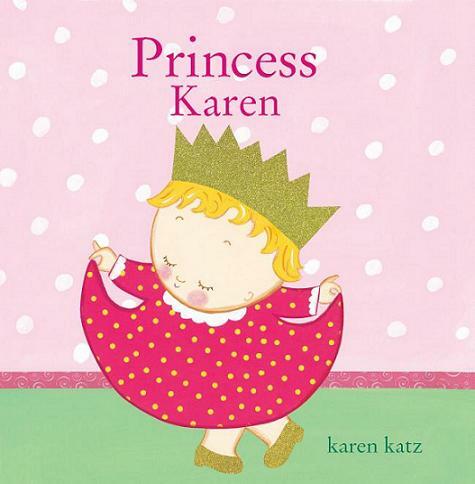 Her persistence pays off in the end, and even the youngest readers will be cheering, “Princess Baby!” Dedicate this tale to the princess in your life when you place her name throughout the story.